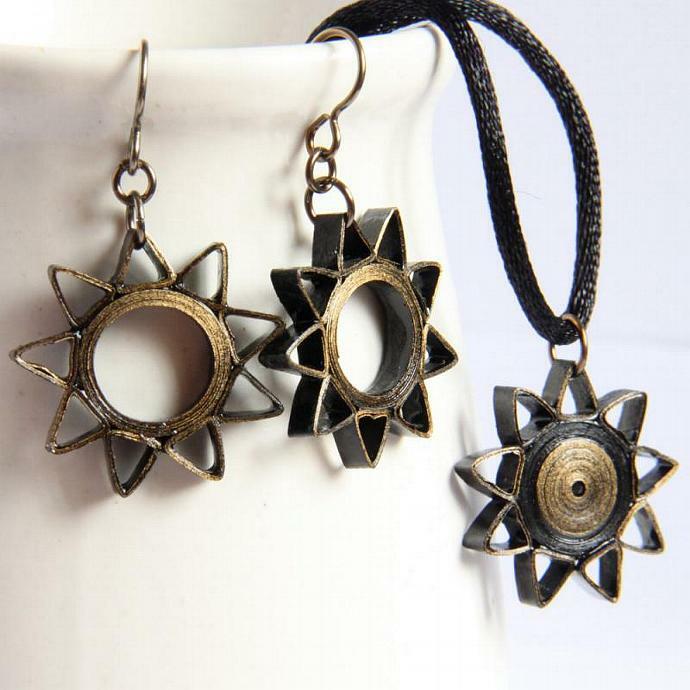 These stunning nine pointed star quilled earrings and pendant are eco friendly and handcrafted by the art of paper quilling. I used specialty quilling paper in black, most of it with a gold edging. The niobium findings are non tarnish and as hypoallergenic as pure gold! If you prefer gold/silver plated findings instead let me know and I'll adjust the listing for you. 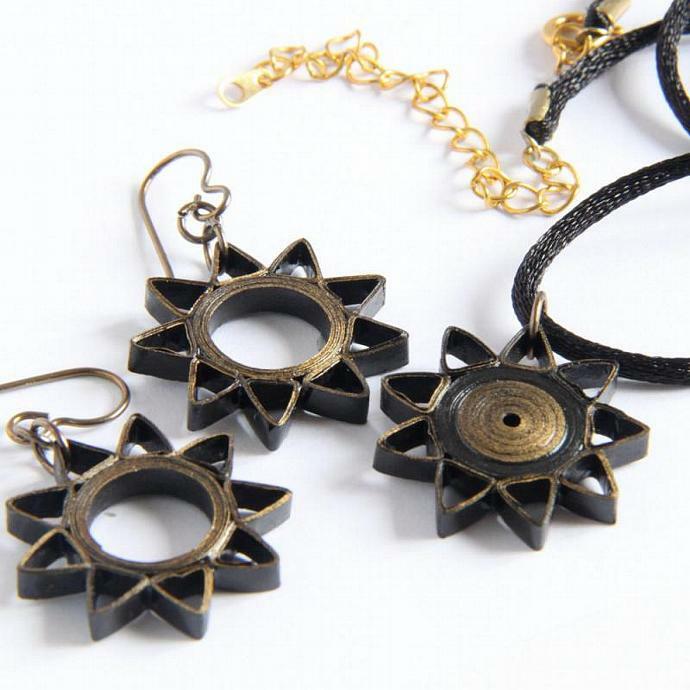 This set comes with a FREE necklace cord as shown, made of nylon cord with gold plated findings. The pendant can also be slipped onto any chain/cord you already have. I suggest a chain/cord that is 18" or shorter so that the pendant can not be caught or pressed on things. It is very sturdy for being made of paper, but is still not as strong as a pendant made of metal, plastic, etc. If you prefer the s et not to come with the necklace cord let me know and I won't send it. The price is the same, as the shown cord is free of charge. It is not calculated into the price at all. *NOTE* This listing is for a MADE TO ORDER set. The set in the photos has been sold. Please allow a few extra days for me to make your special set! Each piece is carefully hand varnished in several layers for a sturdy, water resistant finish. 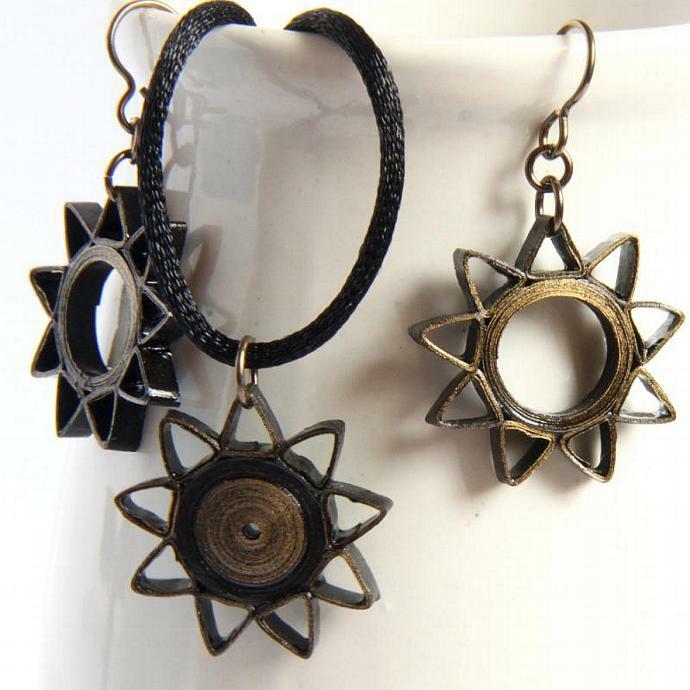 Each star measures approximately 1 1/8" (2.8cm) in diameter. 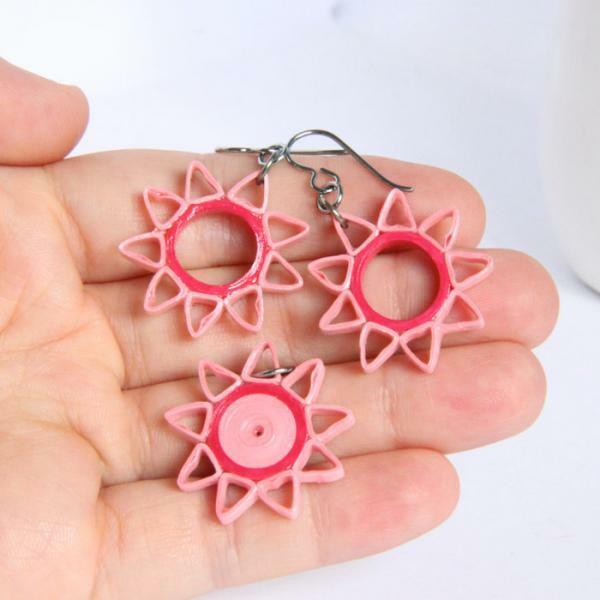 Quilled jewelry is super light-weight, gorgeous, delicate in appearance, yet can last as long as other jewelry thanks to the water resistant coating. This set, like all my jewelry, comes packed safely in a cute gift box. If you order multiple items, I may pack in fewer boxes than there are items, unless you request otherwise.